Comment: Not as fresh as the previous game in the series, but Uncharted 3 still reigns as King of the Action/Adventure genre. The game is filled with enough visually impressive heart-thumping set pieces to make even Indiana Jones blush. 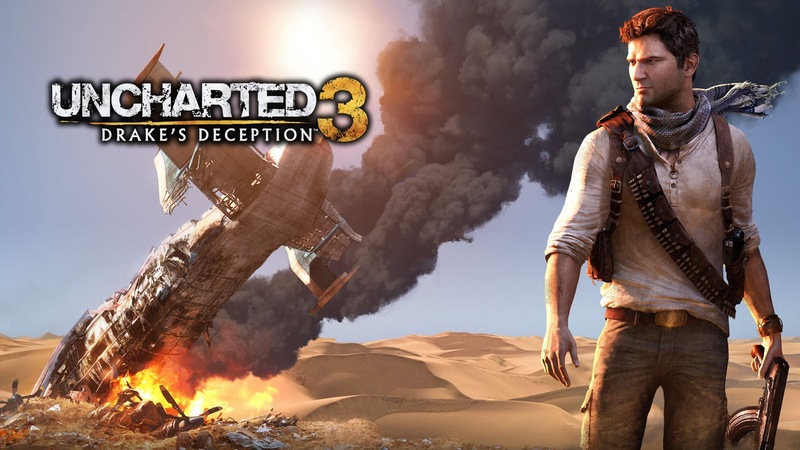 Nathan Drake has never been one to shy away from adventure, and this is no different. Even when all the other characters are telling him not to continue chasing down these "treasures", even when they realised there wouldn't be any treasures, even when he realised he was courting death with no potential reward should he survive, Drake still dives head first into danger. It makes no sense. But does it need to make sense? Probably not. The Uncharted games are akin to big-budget Summer Blockbuster movies, except the death-defying stunts are more frequent and timed better, with no regard for the safety of a bunch of polygons (we'll be seeing the Video Game Character Guild holding protests any day now). The voice actors and actresses did an excellent job of bringing the characters to life, making them feel more down-to-earth. Despite Drake's amazing luck with jump timings and falling debris, its his great dialogue and constant gasping and panting that makes him so exhilarating to follow. Props to Billy Unger for doing such a good job of portraying Drake's younger self. On the technical side of things, Naughty Dog pulls all the stops, creating scenarios that were probably thought to be near impossible to code. The burning château, sinking ship, and crashing plane were all amazing set pieces. When it comes to textures and shadows though, this game shows that the PS3 is an ageing console. The shadows especially, as they tend to be blocky even in some of the cut scenes. But still, these are just the limitations of the console. Naughty Dog has done an excellent job pushing the PS3. However, all that glitter won't mean much if this game isn't any fun to play. Luckily for Naughty Dog, it is, mostly, fun to play. Like Uncharted 2, the enemies are not like Uncharted 1's bullet-sponges, but they still take a fair amount of bullets before going down. It doesn't help when the aiming system feels quite a bit different from the previous game (I think it's the recoil and auto-aim system). The game has since been patched to include the option for UC2's aiming system, but it is hidden in the options as "Alternative aiming" without any explanation. I got a lot more headshots after reverting to that for an hour, but eventually got used to the UC3 aiming. While new mechanics can be learned over time, the more pressing problem was the flanking enemies. Yeah sure, you can melee most of the regular enemies, but you don't stand a chance against the bigger-sized armoured enemies. Your only option would be to run away, but coming out from cover can get you killed VERY quickly with rockets and shotguns firing at you. After multiple retries, you'll understand their attack patterns and find a more optimal path to avoid getting too close to those un-melee-able enemies. It's not impossibly hard but still feels cheap, forcing you to replay extended firefights again and again even if you have perfect aim. Taking Uncharted 3 as an entire package, it is entertaining to watch, and great fun to play through (except for some annoying flanking). It doesn't have the creativeness of indie game, nor thought-provokingness or emotional investment of some story-driven RPGs, but it is still thoroughly enjoyable. Just leave your brain at the door (the "puzzles" are not too tough).